Groundbreaking ceremonies are popular and an exciting way to launch a new construction project in Singapore or any part of the world. This is a time when the public gets to learn more about the project such as when it should be completed and what it is all about. Making the entire construction project a success is important and requires some help from spiritual expertise,. Whenever you plan to build a new construction project on a piece of land, you need to understand that there might be existing entities that had been living around the land for many years or decades. If the ground breaking ceremony is not carried out in the proper way, it might affect the safety of the workers or even the completion of the construction project. In order to avoid such incidents, it is important for you to engage a qualified feng shui master for the ground breaking ceremony Singapore. The master must be able to help you select an auspicious date to hold the ground breaking ceremony. Besides that, the master should be able to carry out the prayers to send the entities away during the ground breaking ceremony. By doing so, it will help the project to run smoothly. How Master Sanna Can Help You For Your Ground Breaking Ceremony? 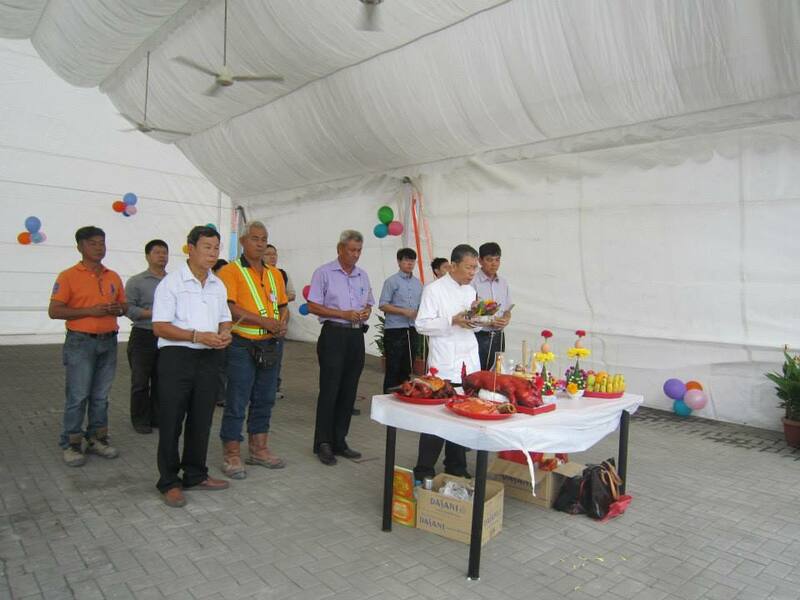 Over the years, Master Sanna had helped many construction projects in their ground breaking ceremony in Singapore and across Southeast Asia. Been equipped with the art of ancient wisdom in spiritual healing and feng shui, Master Sanna is capable to help you in your ground breaking ceremony in Singapore. With his rich experience, Master Sanna will be able to select an auspicious date and carry out prayers during with his knowledge. By having everything in place and at the right time, the ground breaking ceremony will run on in a smooth way. Engage him today by booking an appointment below.